Last two decades saw an explosive growth and progress in Chinese composites industry, which is perfectly demonstrated at the China Composites Expo. 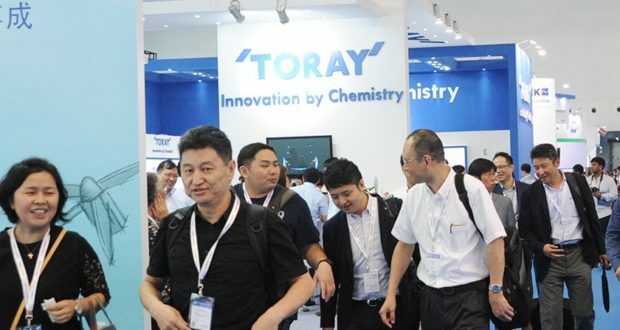 Whereas the first show of 1995 had only 90 companies as exhibitors, the participants’ number of the last show reached 470 companies (105 international and 365 Chinese), this exhibition became one of the biggest and the most influential composites event in Asia-Pacific region. Three days of the last show witnessed more than 35 thousand attendees, visiting stands of exhibitors from 23 countries. Composites, among them basalt-based composites, are gaining popularity in various industrial areas of the Chinese economy. Most notably, close attention to items and pieces of equipment manufactured from the new materials is paid by the representatives of automotive and wind power industries. China Composites Expo – is a great networking place where the companies, associations and research institutions working in the field of developing and manufacturing basalt composites can find partners or potential customers. Moreover, this fact applies not only to the local market participants but also to the international companies that China is constantly expanding business ties. Thus, in September 2015 JSC “Basalt Projects” reached an agreement on entering the Chinese market and attracting investments to the Russian basalt industry. 75% of China Composites Expo 2015 exhibitors have already announced their presence at the 2016 event. You can register for the event online on the exhibition site.